Cheetah cubs play and purr just like kittens. Someday they'll be able to run faster than any other animal in the world. 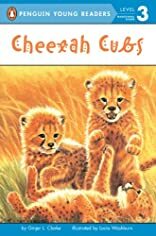 Read along as cheetah cubs leap and grow in this book.